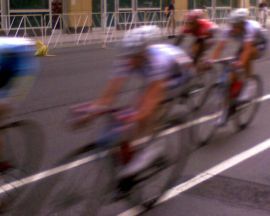 This past weekend was the Minnesota Bike Festival which had several different cycling competitions throughout the metro-area. 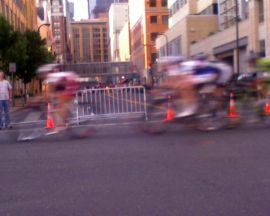 One of the major events was a criterium course in downtown Minneapolis. 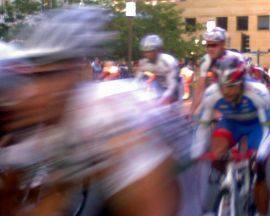 This 4 stage of the festival was aptly called the Minneapolis Downtown Classic. 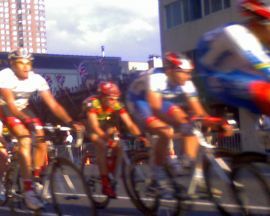 We watched with friends Kristofer and Amy and had a great Friday evening. 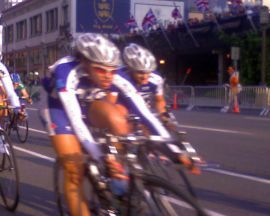 Here are a few pics from the night - all taken with my cellphone!